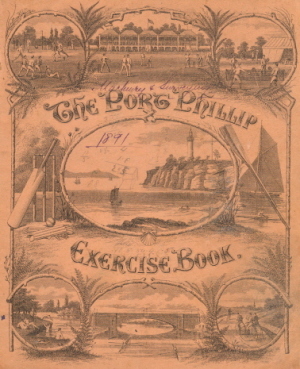 Joseph Burritt was born in 1850. He studied mining at the Ballarat School of Mines (SMB), taking subjects such as Mining Management. 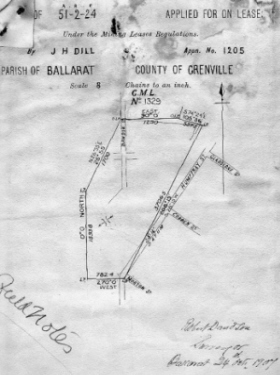 Living in Skipton Street, Joseph Burritt was in close proximity to the New Kohinor Gold Mine which was located on the junction of Skipton and Sebastopol streets in Ballarat. 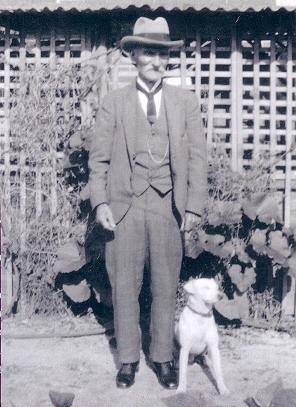 Burritt worked as an engine-driver at the mind, and his descendants can remember being sent to the mine with a billy of lunch for him. Joseph Burritt died on 5 June 1928. Image caption (Left): New Kohinoor Lease Survey, by surveyor Robert David & Son, 1907.